Assemble this travel survival kit stat—it can help save your sanity! You don't want to look disheveled or smell funky as you make your way to your destination. Keep a handkerchief, a comb, breath mints, hand sanitizer, moisturizer, and, perhaps, a small bottle of cologne in a pouch or case. It needn’t be bulky—travel-sized miniatures are available everywhere. You can always catch up on sleep during long trips. Have your neck pillow, mini-blanket or big scarf, eye mask, and earplugs ready. Keep your phone and gadgets juiced up at all times so you can keep yourself connected with your loved ones by providing them periodic updates on where you are. Listen to music, podcasts, or audiobooks; or watch videos, shows, or movies. Make sure you use earphones so you don't annoy fellow travelers who may want some quiet time. Keep your energy up and don't arrive starving at your destination. Keep hydrated and munch on healthy snacks such as granola bars and fruit rather than sugar-laden drinks or processed junk food. Just remember to pace yourself; restroom breaks may come few and far between during your journey. There may be times when you won't feel well while in transit, so have over-the-counter medicine like aspirin or paracetamol on hand. Include a bottle of a soothing essential oil, like Danarra Roll-On Aromatherapy Oil, to help you relax during your trip. 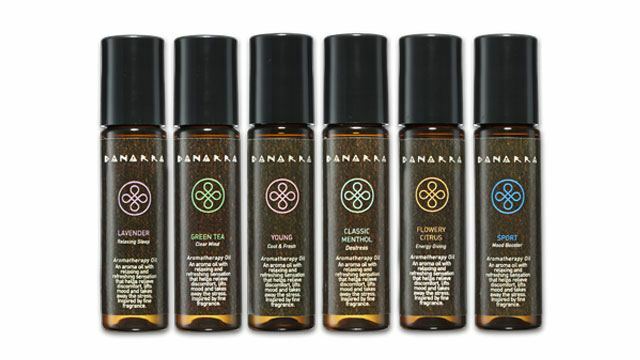 Danarra Roll-On Aromatherapy Oil has been especially formulated to help people on the go deal with a variety of discomforts. Infused with fine fragrances, Danarra comes in six variants—Lavender (Relaxing Sleep), Green Tea (Clear Mind), Young (Cool & Fresh), Classic Menthol (Destress), Flowery Citrus (Energy Giving), and Sport (Mood Booster). They each help you feel better after a stressful day of traveling. Ultimately, these in-transit must-haves will ensure that you'll hit the ground running when you get to your destination. Danarra Roll-On Aromatherapy Oil is available in Mercury Drug stores nationwide. Check out Danarra's Facebook and Instagram for more information.